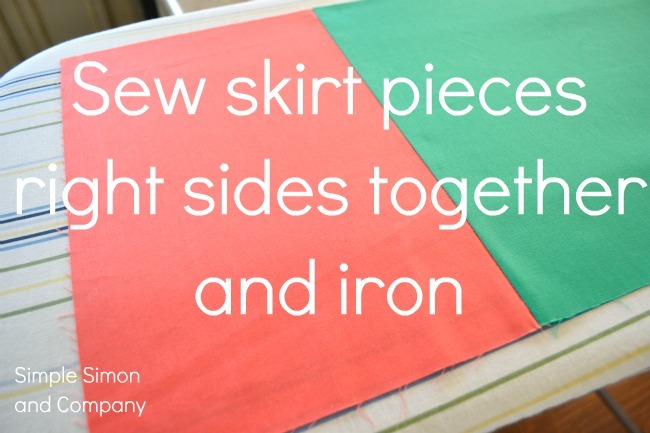 Right now solids are my favorite fabrics—more than prints…more than stripes…more than polka dots (and that is saying something because I really love stripes and polka dots) and this skirt I can make out of any combination of solids I choose. 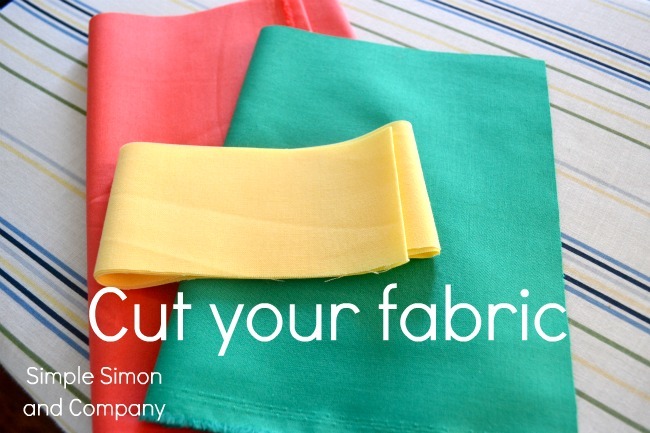 It’s a new favorite of mine and it’s really easy to make (one of those nap time projects). First measure your little one’s waist. Now take the waist measurement and double it. (Gracie’s waist is 18 inches…so I double that number making it 36 inches). Easy. 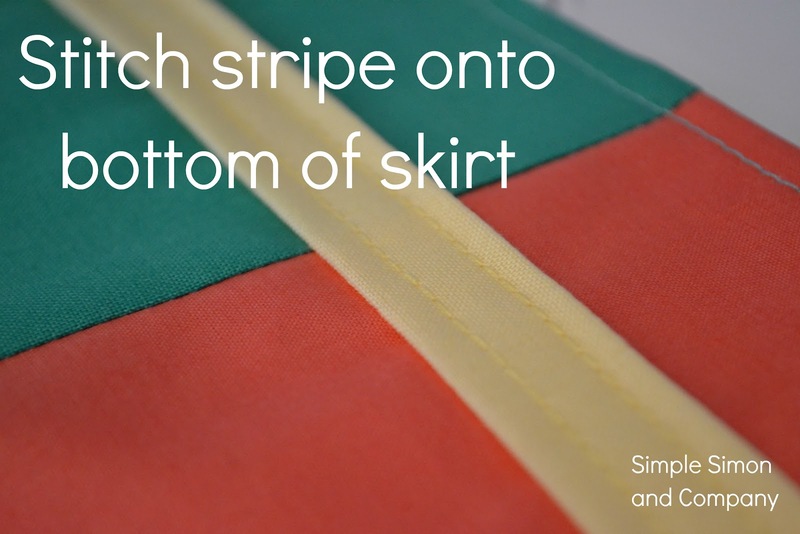 This number will be how wide the vertical stripe of color in your skirt will be. This number is how wide the main color of your skirt will be. You now know how wide to make each piece. 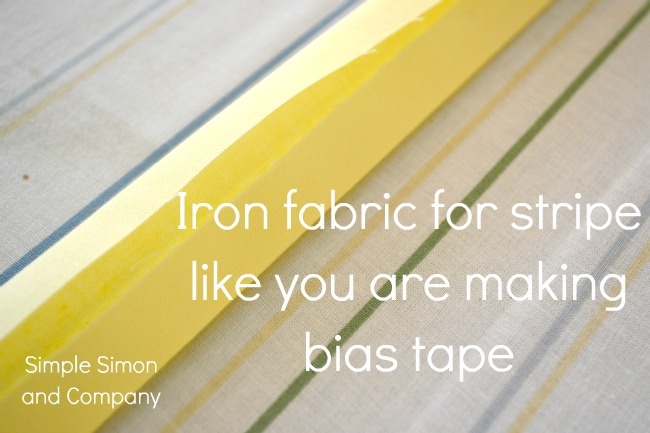 As for how long to make each piece just measure your little one from the waist to the knee (or however long you’d like the skirt to be) and add 2 inches (for the casing and hem). Finally for the horizontal stripe, cut a strip 2 inches wide and at least as long as your waist measurement doubled is (36 inches) plus an extra inch or two just to be safe. 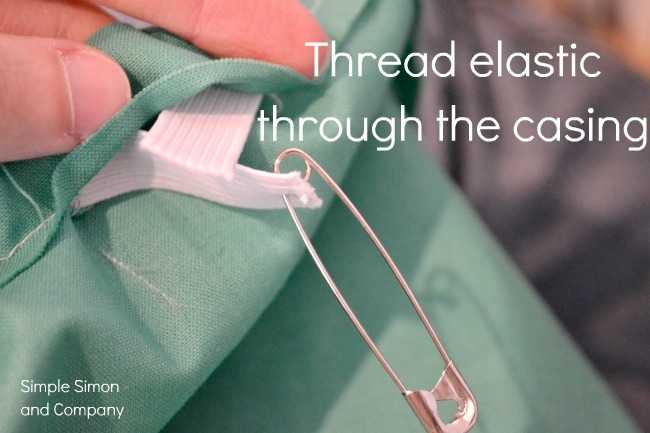 Then sew your elastic together and stitch the hole to your casing closed. So that’s that. 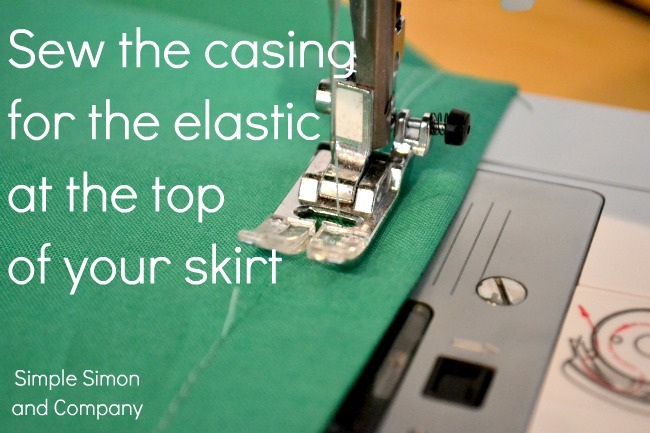 Another take on an elastic waisted skirt….and I really like this one…almost as much as I like blue cheese. 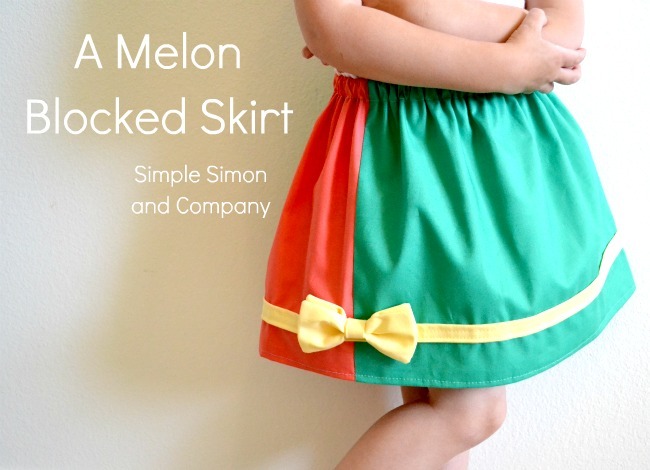 Ummmmm blue cheese…..
PS—About the name, the boys named it…they said the skirt reminds them of cantaloupe…. LOVE those colors together! im loving solids right now too! i just bought some yellow and green fabric for the little guy. he is overly obsessed with john deere tractors and their colors right now. he saw some john deere fabric the other day and begged me to make him something with it, but i just cant go there. something about that type of fabrics make me cringe. so i told him i would make him something with john deere yellow and green instead. phew, he agreed. am i bad mom for that? Love this skirt, love the colors – and had a similar situation happen to us the other day with the police. No fun at all. Such a pretty skirt. Love the two toned look! This is adorable! I love the name, too. It’s so simple, but he colors make it soooo cute! I love me some color blocking! 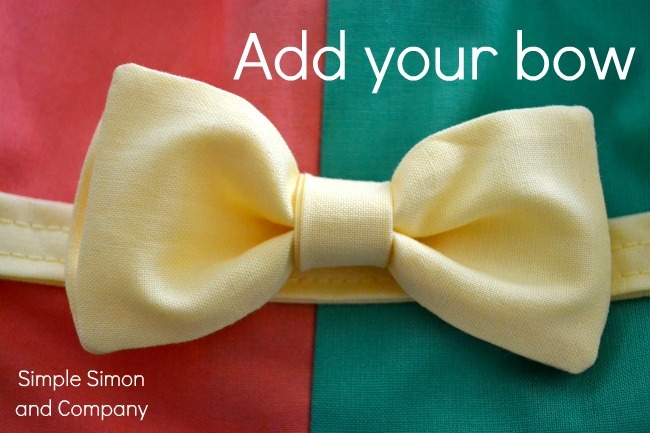 The colors and the little bow are so happy. I am a sucker for happy colors. Hi, I like this skirt very much, but i’m newly learning sew, I not so understand how to cut the shape on the cloth, mind to email me a drawing of how to cut out the cloth of this skirt? I wish to make 1 for my friend’s daughter…. Oh my goodness. Cute Cute. Love the color blocking/melon blocking 🙂 I featured you on my blog today! http://missloviecreations.blogspot.com/2012/05/my-favorite-things-thursday-on-saturday.html I’d love it if you stopped by and grabbed a button! Hope you have a fabulous weekend! Hello! I made this skirt and it’s really beautiful, but I have one question: how did you attach the bow to the skirt? I tried to hand stich it, but it didn’t work great… maybe I should use some kind of glue? 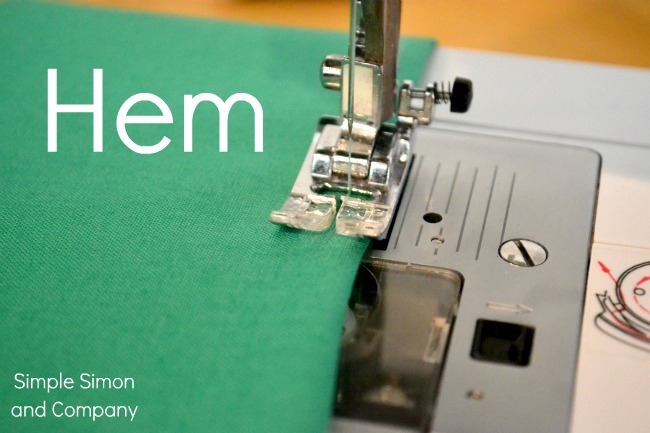 Or maybe is there a way to machine sew it so it would still look pro? 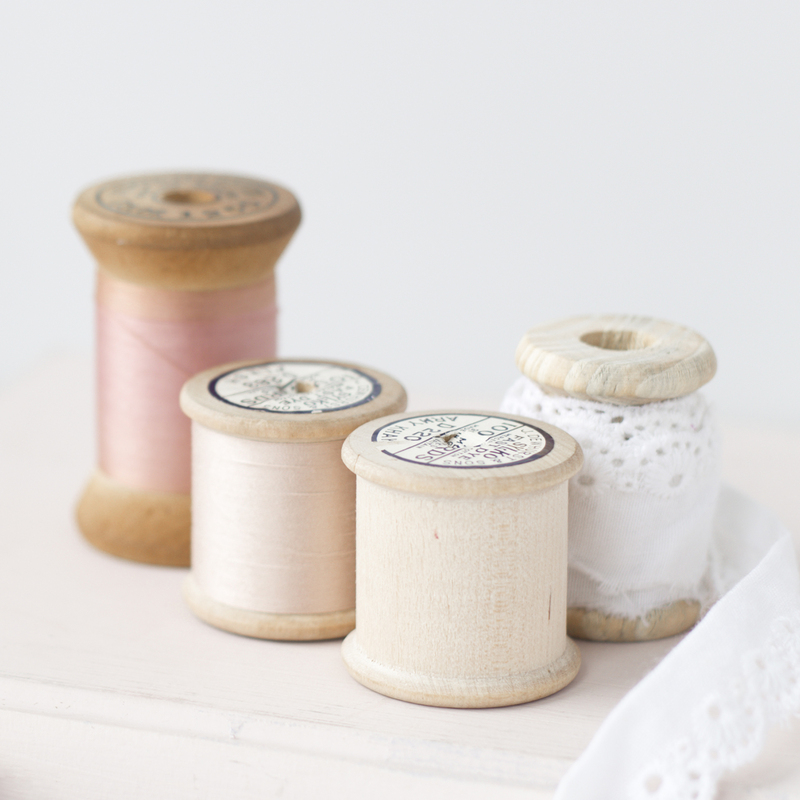 I love your blog, I am quite new to sewing and it’s very helpful. 🙂 Thank you!